HABIT: Gorgeous, lush, root hardy, fast growing twining vine, with very fragrant flower clusters of white, pink, & red flowers all summer & fall. Flowers open white, change to pink, then bright red over a 2-3 day period, sun. Fairly drought tolerant. CULTURE: Average water and fertilizer needs. Once established is drought tolerant. Easy to grow from seeds or transplants in the spring. Likes rich healthy soils. 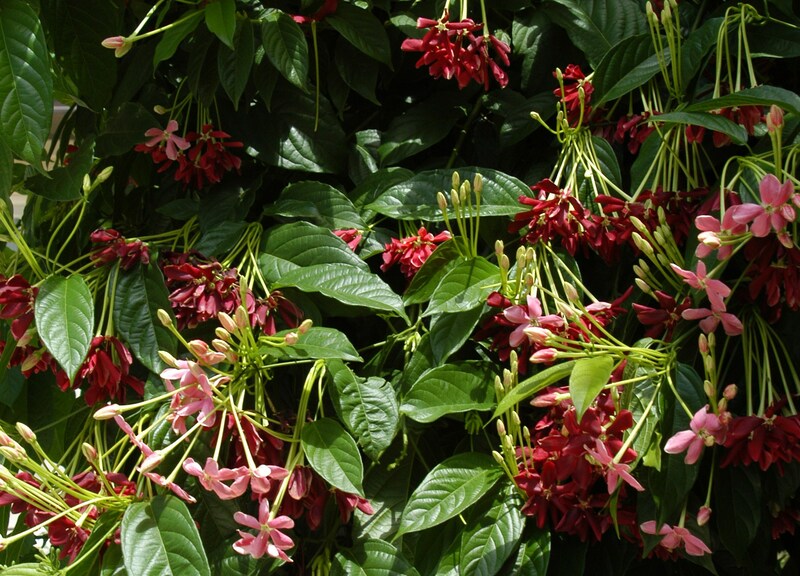 USES: Fast growing colorful vine, attracts butterflies, adds evening garden fragrance. NOTES: Vine that should be used more. Very dramatic.